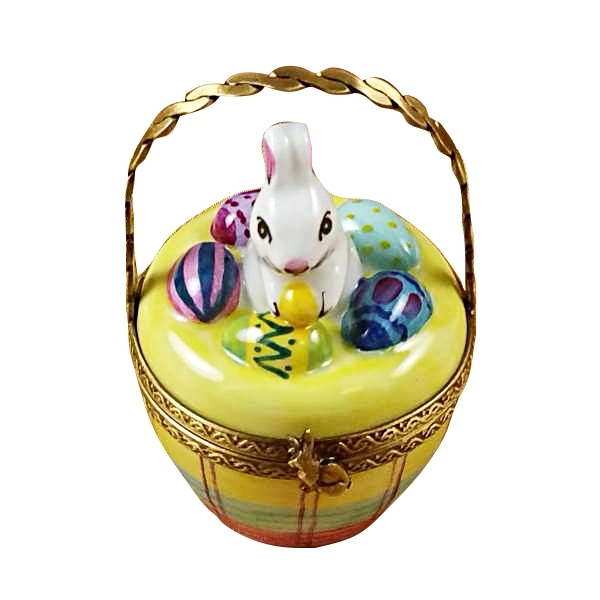 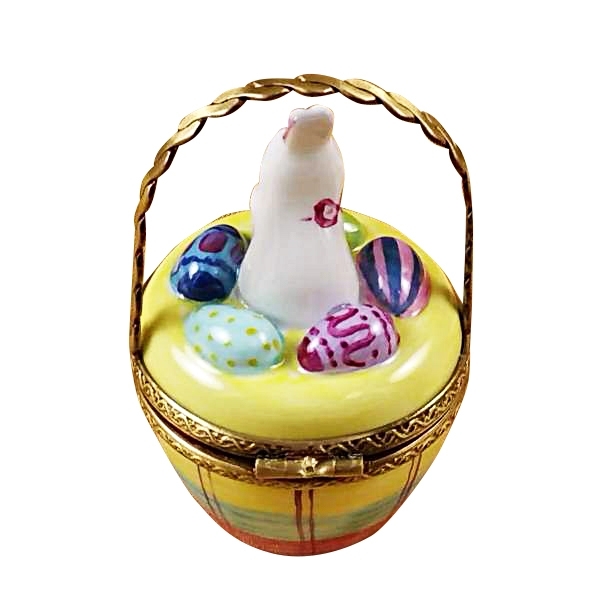 Bunny in basket - Limoges Boxes and Figurines - Limoges Factory Co. 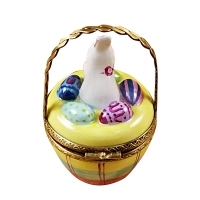 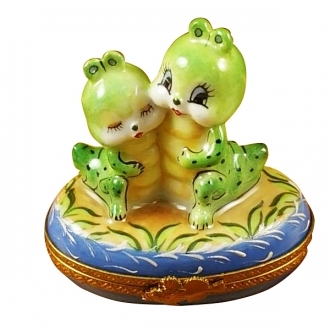 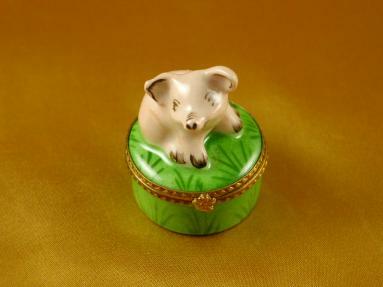 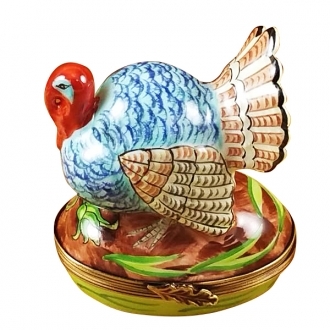 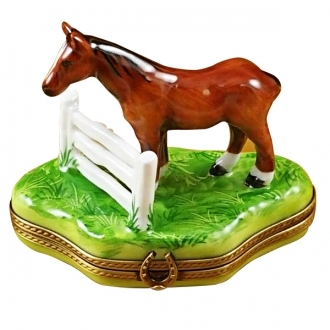 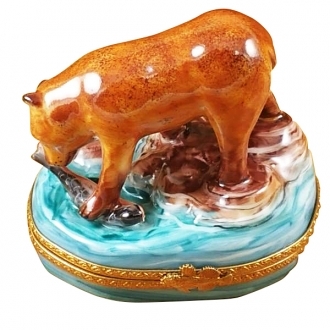 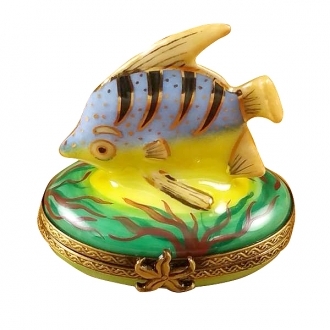 This basket shaped Limoges box can contain something more than a trivial knick-knack. 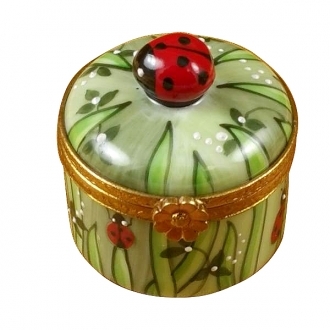 This is large enough to contain big keep sake of some sort. 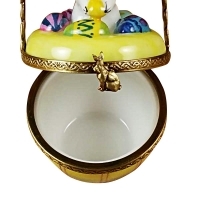 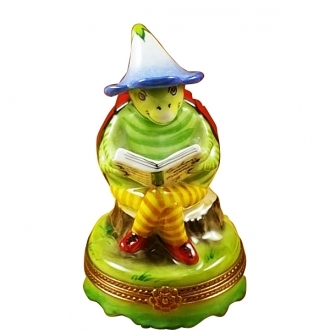 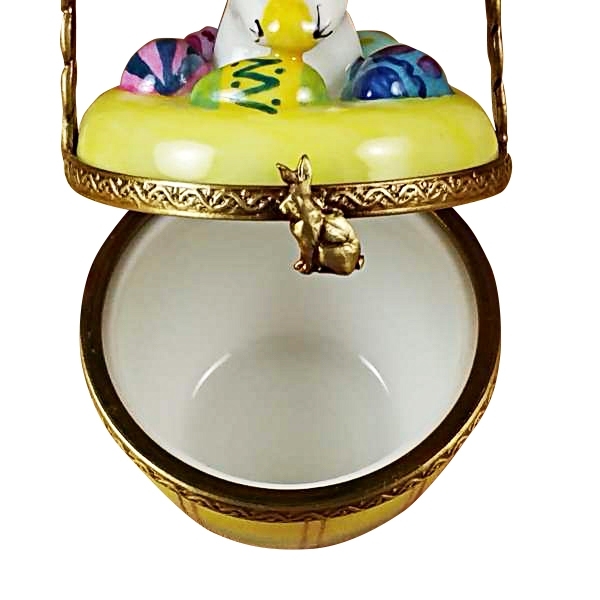 The lid of the Limoges box is shaped like a little bunny sitting in an egg basket. 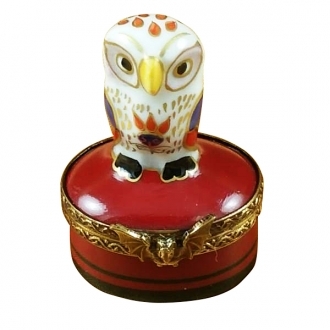 The box sports a beautiful golden handle. 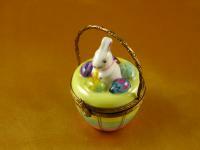 Measurements: 1,5" х 1,5" х 2.5"